The most developed renewable energies are hydropower and geothermal energy, with a total installed capacity of 5,024MW and 1,403.5MW, respectively.5 These figures, however, are low in comparison with its total potential. In 2015, the development of renewable energy only reached 2 per cent of the total potential renewable energy sources in Indonesia.6 Despite attempts to broaden the offtaker base, PT Perusahaan Listrik Negara (Persero) (PLN) is, de facto, the sole offtaker in Indonesia, and independent power producers (IPPs) are required to sign a power purchase agreement (PPA) with PLN under a tariff approved by the government. In spite of the government's commitment to optimising the development of renewable energy, there remain questions on how these issues would be addressed. PLN annually prepares an electricity generation plan to be approved by the Minister of Energy and Mineral Resources (MEMR). PLN's electricity plan for 2018 suggests a correction of the national growth in and development of electricity demand from 77,900MW to 56,000MW. The reduction affects mostly new coal and gas-fired generation, as well as hydro and geothermal. Despite the reduction, the number of power plants using renewable sources is expected to grow, and to increase their portion of the national energy mix to 3.7 per cent of the total energy being produced nationally, amounting to a capacity of 2.1GW. Significant capacity growth, from 1,200MW to 2,000MW, is expected for wind and solar sources. PLN is considering approximately 1,000 locations for new solar photovoltaic (PV) and wind farms to be built between 2018 and 2027 across Java, South Sulawesi, Nusa Tenggara and Madura. For solar power plants, the key focus is to develop floating solar PV using existing water reservoirs of hydropower plants, thereby reducing land acquisition costs and risks. Following industry criticism, in 2018, MEMR revoked several other regulations in the electricity and renewable energy sectors: five regulations in the electricity sector and four regulations in the renewable energy sector were revoked. In spite of the laudable intention of removing bureaucratic hurdles, promoting investment and stimulating economic growth, this deregulation has not addressed or removed the challenges posed to new IPPs as a result of the regulations issued in 2017.
a three-hour licensing service to obtain a temporary electricity business licence (IUPTLS):16 IPPs may obtain an IUPTLS without submitting all the required documentation provided that the IPP warrants to the Investment Coordinating Board (BKPM) that it will submit complete documentation within 60 days of the issuance of the IUPTLS.17 Proof of PLN's commitment to purchase the electricity produced by an IPP, however, must be submitted with the first IUPTLS application, and is not subject to the said exemption. Electricity generation from renewable sources is mainly governed by the Energy Law, the Electricity Law,18 the Investment Law,19 and other sectoral and implementing regulations in the areas of geothermal, water, environment and forestry. In addition, renewable energy project finance must also comply with the applicable laws in relation to offshore loans and the mandatory use of the rupiah. For IPPs to generate electricity and deliver it to PLN, they are required to obtain an IUPTL issued by the government to control the IPP's technical and financial capability, and fulfil environmental protection requirements.20 To simplify bureaucracy, IUPTL applications are pooled by and submitted to BKPM.21 To obtain an IUPTL, an IPP is required to submit, inter alia, an electricity generation feasibility study, the project's proposed location, construction and operation schedules, and a PPA with PLN to evidence the IPP's technical, financial and environmental protection capabilities. The regulatory regime with respect to geothermal business activity is divided into two regulatory regimes: the old regulatory regime applicable prior to 2003 and the new regulatory regime applicable after 2003. Prior to the issuance of the geothermal law in 2003, Pertamina was appointed by the government as the sole geothermal mining authority in Indonesia.22 Pertamina has the exclusive right to undertake geothermal business activities in work areas stipulated by the government by implementing its own operations or appointing a contractor pursuant to a joint operation contract (JOC). The JOC sits back-to-back with an energy sales contract (ESC) between the contractor as the deliverer of the geothermal energy or electricity produced, Pertamina as the seller and PLN as the buyer. Following the enactment of the geothermal law in 2003,23 geothermal business activity is implemented by virtue of a geothermal licence issued by the government following tenders for work areas. Notwithstanding the foregoing, all JOCs and ESCs entered into prior to the enactment of the geothermal laws in 2003 remain valid until the end of their terms. the pricing of the electricity is consistent with MEMR 50/2017 (see Section III.ii). The direct appointment process involves the appointment of one specific IPP, whereas direct selection involves the selection of more than one potential IPP. MEMR's approval is required to initiate the direct appointment and direct selection processes. Until recently, the provision of PPAs was mostly based on business-to-business negotiations between an IPP and PLN. 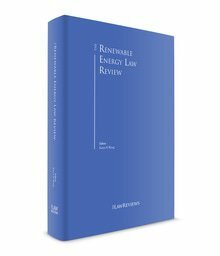 In 2017, however, the government issued MEMR 10/2017 to 'lock down' certain provisions of PPAs.25 This regulation may reduce the time needed to negotiate the terms of a PPA, but at the same time may prejudice the general bankability of a PPA because of provisions regarding risk allocation, deemed capacity payment and government force majeure (GFM) events. MEMR 10/2017 is widely applicable to most types of power plant with the exception of intermittent power plants and certain renewable energy power plants, namely biogas, mini hydro power plants below 10MW and municipal waste-based power plants. Other renewable energy plants such as geothermal, hydro power and biomass plants, remain subject to this regulation. The key provisions regarding PPAs based on MEMR 10/2017 (including its subsequent amendments) and recent PPA precedent in the areas of renewable energy are as follows. The general pricing guidelines under MEMR 50/2017 for renewable power generation projects are benchmarked against PLN's average electricity generation basic cost for the preceding year in the area where that project is to be located (the generating BPP).26 The electricity tariffs for renewable power generation projects are as follows. The national average generating BPP for the period from 1 April 2017 to 31 March 2018 was US$7.39 cents/kWh and the national average generating BPP for the period from 1 April 2018 to 31 March 2019 is US$7.66 cent/kWh. For obvious commercial reasons, PLN intends to lower or at least maintain the generating BPP. Benchmarking the electricity tariffs to the generating BPPs will affect investors' appetite to develop renewable power generation projects, because the low generating BPPs in most of the relevant areas are caused by Indonesia's major reliance on coal-fired power plants, which are not comparable for generating the prices of renewable power generation. Under MEMR 48/2017, MEMR exercises supervisory authority over IPPs in several areas, including regarding share transfer restrictions, and notification requirements for changes in shareholdings and in the composition of the board of directors and board of commissioners of an IPP. The share transfer restrictions have created some concerns over the bankability IPP projects. Pursuant to the Environmental Law,27 business entities carrying out operational activities with significant impact on the environment are required to prepare an environmental impact assessment (AMDAL) that has to be approved as a prerequisite to secure an environmental permit. Where an AMDAL is not required, companies shall annually submit environmental management and environmental control effort reports to be approved by the authorised government institution. It is not uncommon for renewable power generation projects to be located in forestry areas. Generally protected, the development of any power generation project within forest areas may be challenging. Indonesia's forests are classified into three different classifications depending on their nature and functionality: production forests, protected forests and conservation forests. To use production and protected forests for commercial activities, including for the development of power plants, and the transmission and distribution of power supplies, a 'borrow-and-use' permit must be obtained from the Minister of Environment and Forestry (MOEF).28 The Forestry Law in general prohibits commercial activities within areas of conservation forests to protect their pristine nature. However, geothermal activities may be implemented within nature reserve forest areas after securing a geothermal environmental services utilisation permit issued by MOEF. There is currently no legal framework available to secure access to conservation forests and hunting parks. Under the Agrarian Law,29 the state holds ultimate title to all land in Indonesia, with the highest title available to Indonesian citizens being a hak milik, which is similar to a common law freehold title. To construct a power plant (except in a forestry area), IPPs must first secure a land title in the form of a building right. Prior to acquiring any land title with a total area of more than 10,000 square metres, IPPs must obtain a location permit, as well as a permit to conduct land acquisition within the framework of investment and to utilise the land for operational activities, from the relevant authority, which depends on the location of the land. To mitigate project risks due to land acquisition, the government provides a legal framework for the mandatory acquisition of land, including for electricity infrastructure development, if this is in the public interest.30 Such land acquisition is undertaken through the state budget. Accordingly, any such land title must be transferred from the relevant landowner to the government, in this case to the National Land Agency (BPN). IPPs may be required to assist in the land acquisition process, and may have a use right over the land, but will not be entitled to register the land under their name. In addition to land for power plants, IPPs may also be required to acquire a right of way for a transmission line to traverse the conductors from power plants to PLN interconnection points (where power plants and PLN's grid system are connected). Transmission lines and interconnection points are commonly referred as 'special facilities'. Based on PPA precedents, IPPs are required to construct these special facilities and transfer their title to PLN on or before the COD. Thus, IPPs may not place any encumbrances over special facilities. Project financing for the development and implementation of renewable energy projects is generally similar to those for other infrastructure projects. A typical project finance in Indonesia is structured through a combination of the sponsor's equity and senior debt secured by the entire project's assets, including cash flow, with limited recourse against the project's sponsors. The project company shall be in the form of an Indonesian limited liability company established especially to own and manage the project, and in most cases it is a joint venture between a local sponsor and an international sponsor who participate in the construction and management of the project. As mentioned above, the BOOT scheme is used for most renewable energy projects. Aside from BOOT, the build, own, operate model has also been used in the past for several geothermal and hydro projects. The project company will then enter into an electricity offtake agreement in the form of a PPA with PLN. During the PPA period, the project company will own all project assets and enter into all agreements relating to the project. Under the BOOT scheme, following the expiry of the PPA, termination of the PPA due to PLN's default or GFM, the project company shall be transferred to PLN. In the case of termination because of PLN defaulting or GFM, PLN is required to purchase the project according to a predetermined price structure: see Section III.ii. Project finance lenders in Indonesia are mainly international commercial banks, multilateral development agencies such as the Asian Development Bank (ADB), and export credit agencies (ECAs) such as Korean Exim Bank, China Exim Bank and JBIC. Typically, ECAs from the international sponsor's jurisdiction will be involved in providing financing, particularly if the international sponsor is also the project's contractor. It is difficult for local banks to provide project financing because of their limited liquidity for long-term debt and the lack of a derivatives market. In the past 10 years, PT Sarana Multi Infrastruktur (Persero) (SMI), a state-owned infrastructure financing company, and PT Indonesia Infrastructure Finance (IIF), a joint venture between the government (through SMI), ADB, International Finance Corporation, Deutsche Investitions-und-Entwicklungsgesellschaft and Sumitomo-Mitsubishi Banking Corporation, have also been actively providing project financing for infrastructure projects in Indonesia, including renewable energy projects. Both SMI and IIF were established by the government as part of its efforts to accelerate infrastructure developments by providing domestic finance in the form of debt and equity. In 2015, SMI was mandated by the government to manage the state budget allocated specifically to fund geothermal projects. Construction contracts must be executed in compliance with the Construction Law,31 which, inter alia, sets out the minimum key terms of the contract and the mandatory use of the Indonesian language. Further, a tripartite converting agreement between an IPP, PLN and designated state-owned bank regulates the conversion of Indonesian rupiah payments for power purchased by PLN into US dollars at the prevailing exchange rate to comply with the mandatory use of the rupiah. The above are elaborated below in further detail. For transactions that combine different types of financial institutions or granted facilities, a common terms agreement is typically executed to govern the principal terms of the financing, with a separate facility agreement for each creditor or facility. Indonesian law does not provide for any standard form of financing documents (save for security documents in certain cases), and they will generally be in such a form as is acceptable to the market. conditional novation over project documents, including the PPA, EPC agreements, O&M agreements, bank guarantees and performance guarantees. In addition to this security, a lender will also usually require a direct agreement to be executed, to allow it to have step-in rights into the main project documents, so that the lender may replace a project company in the documents when it exercises its rights thereunder. In early 2015, the government issued a regulation framework to boost public–private partnerships (PPPs) in the procurement and development of essential infrastructure projects in Indonesia.32 PPPs have traditionally been regarded with some suspicion by many segments of Indonesian society, which continue to believe that infrastructure provision should be the sole responsibility of the state. However, it has become increasingly apparent that the state does not have the financial capacity to tackle Indonesia's enormous infrastructure deficit on its own. Accordingly, the development of the PPP sector over the past 10 years has been characterised by a slow progression from a highly restrictive regime to a more liberal one. Under the new regulation, PR 38/2015, the number of sectors allowed to utilise PPPs has expanded from nine to 19 sectors, with the addition of, among others, renewable energy, water resources, waste management and energy conservation. Foreign and local investors are now allowed to participate in tender processes directly without establishing a company in Indonesia. Once an investor has been selected, it should establish a project company in Indonesia to implement and execute the PPP. PR 38/2015 also addresses one of the major constraints in infrastructure development in Indonesia: land procurement. PR 38/2015 makes land procurement the government's responsibility, and sets out a clearer procedure and timeline for investors. A tender process may not commence until the government obtains a site determination from the relevant provincial governor: thus, a project's site will be final from the outset. Under PR 38/2015, the government may now also place the land procurement process in the hands of a private sector partner to act on its behalf through a special power of attorney, which gives the private entity more room to operate. Government guarantees for PPP projects have a key role to play in encouraging investment in the infrastructure sector. The government may now provide guarantees on political and sub-sovereign risks that can, for example, ensure the continuity of a PPP project despite a change in government, and assure the deliverables made by a regional public sector authority. The possibility of government support in the form of tax incentives and fiscal contributions should also help to improve the attractiveness of PPP projects, thereby potentially resulting in more competitive bids from the private sector. Partial financing and viability support for PPP projects of social interest and public benefit in relation to the construction of new infrastructure, or the operation and maintenance of infrastructure, should also help boost private investor interest. In addition to government support and government guarantees for PPP projects, the government may issue a guarantee to investors for power generation projects.34 The government guarantee may include a business viability guarantee letter (BVGL). BVGLs are granted to IPPs to secure PLN's financial obligations under a PPA, which consist of the payment of the electricity price and other payment obligations. PLN's financial obligation shall be limited to other payment obligations arising from the occurrence of political risks, such as government actions and inaction or a change in law, which must be borne by PLN, or any other PLN non-remediable event as stipulated in the PPA. BVGLs will be signed by the MOF and issued to IPPs with a copy going to PLN. We understand from previous experience that the obligations of the government under a BVGL constitute obligations under Article 1316 of the Indonesian Civil Code. The clause is essentially an indemnity provision, allowing the indemnified party to claim for the indemnified amount directly from the indemnifying party. Thus, an IPP could make a claim directly against the government under a BVGL. However, MOF 130/2016 requires the payment to go to PLN first, rather than directly to an IPP. After PLN receives the amount, PLN should pay that amount to the relevant IPP; however, this system has yet to be implemented. To achieve the government's commitment of 23 per cent utilisation of renewable energy, the MEMR encourages domestic households to adopt rooftop solar PV power systems. Although the government has not issued any specific legislation, the board of directors of PLN, as the sole offtaker in Indonesia, has issued decree No. 0733.K/Dir/2013 'on the use of excess power produced by PLN's customers from solar PV rooftop power systems'. Pursuant to this decree, PLN's customers may deliver any excess of electricity generated from rooftop solar PV to the PLN's grid system and PLN will install metering equipment to calculate the energy delivered by such customers; the amount of dispatched energy will be deducted from the customer's electricity bill. The installation of rooftop solar PV equipment is subject to the local content requirement (see Section V). The Electricity Law requires IPPs to prioritise the use of domestic products in developing power generation projects, including renewable energy projects. The government requires IPPs to comply with minimum local content requirements (for goods and services) for the development of electricity infrastructure.35 Failure to comply with these local content requirements may result in administrative and financial sanctions. In spite of the recent correction to Indonesia's energy outlook (see Section II), the renewable energy sector's share of the energy mix is still expected to grow. However, the government's latest regulation spree in 2017 may prove to be counterproductive in proliferating new renewable projects; for example, because of the limit on electricity tariffs to the BPP, the imbalance in risk allocation in PPAs between PLN and IPPs, and the stringent supervision of MEMR in the energy sector. the simplification of the appointment process by PLN. 1 Kanya Satwika is a partner, Tracy Tania is a senior associate and M Insan Pratama and Theodora P Saputri are associates at Assegaf Hamzah & Partners. 2 Presidential Regulation No. 4 of 2016 on Acceleration of the Development of Electricity Infrastructure (PR 4/2016). 3 Minister of Energy and Mineral Resources Decree No. 1567 K/21/MEM/2018 on the Ratification of PT PLN Electricity Generation Plan 2018–2027 (PLN Electricity Plan 2018). 4 National Energy Master Plan (RUEN) for 2015 to 2050 as stipulated in Presidential Regulation No. 22 of 2017, page 20. 5 Indonesia Energy Outlook 2016, https://www.esdm.go.id/assets/media/content/outlook_energi_indonesia_2016_opt.pdf. 6 RUEN at page 20. 8 MEMR Regulation No. 10 of 2017 concerning the Principle Terms of Power Purchase Agreement as amended with MEMR Regulation No. 49 of 2017 and MEMR Regulation No. 10 of 2018 (MEMR 10/2017). 9 MEMR Regulation No. 50 of 2017 on the Use of Renewable Energy for Electricity Supply (MEMR 50/2017). 10 MEMR Regulation No. 48 of 2017 concerning Supervision in Energy and Mineral Resources Sector (MEMR 48/2017). 11 Regulation of Bank Indonesia No. 17/3/PBI/2015 regarding Mandatory Use of Rupiah in the Republic of Indonesia. 12 Government Regulation No. 18 of 2015 concerning Income Tax Facilities for Capital Investment in Certain Business Sectors and/or Certain Regions (GR 18/2015), Schedule I Point 60. 13 GR 18/2015, Article 2 (2). 14 BKPM 13/2017, Article 60. 15 Minister of Finance Regulation No. 130/PMK.08/2016 on the Procedure of Granting of Government Guarantee for the Acceleration of Electricity Infrastructure Development (MOF 130/2016). 16 Regulation of the Indonesian Investment Coordinating Board (BKPM) No. 13 of 2017 (BKPM 13/2017), Article 111 and 112. 17 BKPM 13/2017, Article 112 (8). 18 Law No. 30 of 2009 concerning Electricity (Electricity Law). 19 Law No. 25 of 2007 on Investment (Investment Law). 20 Government Regulation No. 14 of 2012 on Electricity Generation Business (GR 14/2012). 21 MEMR Regulation No. 35 of 2014 on the Delegation of Authority to Issue Licences in Electricity Sectors for the Implementation of One-Stop Integrated Services, as amended lastly with Regulation of Minister of Energy and Mineral Resources No. 14 of 2017 (MEMR 35/2014). 22 Perusahaan Pertambahan Minyak dan Gas Bumi Negara now PT Pertamina (Persero) (Pertamina). Pertamina's geothermal business and role under the old geothermal regimes was then assigned to its wholly owned subsidiary, PT Pertamina Geothermal Energy (PGE). 23 Law 21 of 2003 as amended by Law No. 21 of 2014 on Geothermal (Geothermal Law) and Government Regulation No. 59 of 2007 regarding geothermal business activity (GR 29/2007). 24 MEMR Regulation No. 001 of 2006 on the Procedure to Purchase Electricity and/or to Lease Electricity Grid for Public Interest Purposes, as amended with MEMR Regulation No. 004 of 2007 (MEMR Regulation 001/2006). Specifically, for renewable energy, the procurement process may be carried out by way of direct selection or direct appointment as provided under MEMR 50/2017. 25 MEMR Regulation No. 10 of 2017 concerning Principles of Power Purchase Agreement (MEMR Regulation 10/2017). 26 Biaya Pokok Penyediaan Pembangkitan. 27 Law No. 32 of 2009 regarding Environmental Protection and Management (Environmental Law) and Government Regulation No. 27 of 2012 regarding Environmental Permits (Regulation No. 27 of 2012). 28 Law No. 41 of 1999 regarding Forestry, as amended by Law No. 19 of 2004 and partly revoked by Law No. 18 of 2013 (Forestry Law), MOEF Regulation No. P.50/Menlhk/Setjen/Kum.1/6/2016. 29 Law No. 5 of 1960 on the Principles of Agrarian (Agrarian Law). 30 Law No. 2 of 2012 on Land Procurement for Public Interest Development (Law 2/2012) and Presidential Regulation No. 71 of 2012 on the Implementation of Land Procurement for Public Interest Development, as amended from time to time (PR 71/2012). 31 Law No. 2 of 2017 on Construction Services (Construction Law). 32 The President issued Regulation No. 38 (PR 38/2015) revoking its predecessor, Regulation No. 13 of 2010 on Cooperation between the Government and Business Entities in Infrastructure Provision. 34 MOF Regulation No. 130/PMK.08/2016 on the Procedure of Granting of Government Guarantee for the Acceleration of Electricity Infrastructure Development (MOF 130/2016). 35 Minister of Industry Regulation No. 54 of 2012 on the Local Content for Electricity Infrastructure (as amended by Regulation No. 5 of 2017) (MoI Regulation 54/2012).